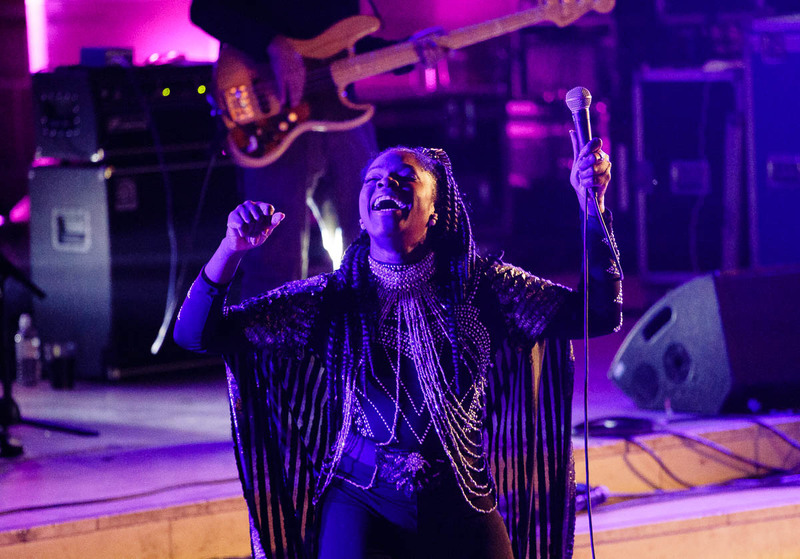 Funkers Ibibio Sound Machine are coming to Liverpool later this year, Getintothis’ Nathan Lord on what’s sure to be a night to remember. Ibibio Sound Machine bring their fiesta of West African influenced electro funk back to Liverpool this autumn. After extensive festival dates in the US and UK this summer including All Points East, Leeds, Readipop and Bluedot they’re set to play Invisible Wind Factory on October 10. They dropped a brand new single Guess We Found A Way earlier this month. The autumn UK tour, which includes dates in London, Birmingham and Glasgow will follow in the wake of the octets eagerly awaited third album Doko Mien, which is set to be released next week. The group have been touring around the UK, receiving glowing reviews with every set, as they almost reinvent their astonishingly detailed records for a live show, that highlights the organic nature of their sound.